Old sewing machines with the name "Mercury" on them are known as "badged" machines. Badged sewing machines are mass-produced inexpensive versions of brand sewing machines, such as Singer, which were then sold to smaller chain stores who renamed them, providing them with the "badge" name. Mercury sewing machines were manufactured by the Goodrich Sewing Company of Chicago, Illinois for both domestic and export markets from 1894 to the 1950s. Mercury badged machines were also produced in Japan by an unknown company during the 1960s and 1970s. 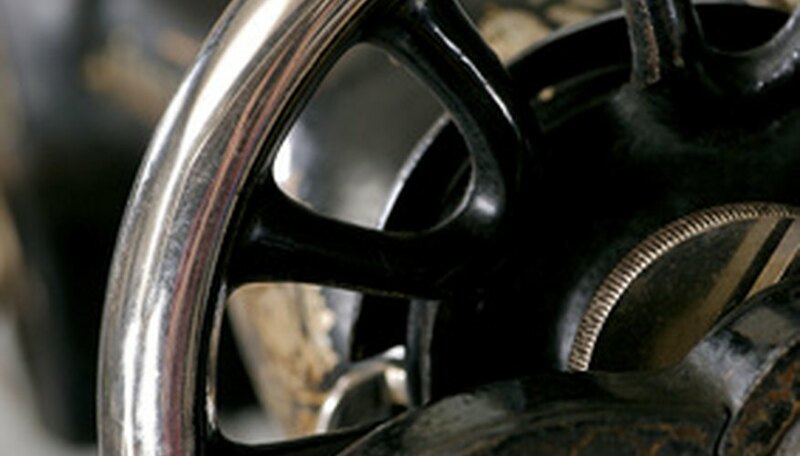 Mercury machines were modeled on Singer sewing machines and are similar in design. Examine your Mercury sewing machine. Locate a small metal plate that is riveted to the machine's base, facing the front of the machine if it is manufactured before 1960. The plate lists the model number or serial number on it. This only applies to machines manufactured in the United States. Look at the back of the base or the bottom of the machine for the "Made in Japan" stamp, along with the word "Deluxe" and a number. If your Mercury sewing machine was manufactured after 1950, you may have a Japanese manufactured machine. The number after "Deluxe" is the model number for this machine. Look at the owner's manual for your machine. Sometimes the metal plate is missing on older models of Mercury sewing machines. The manual lists the model number of your machine. Check photographs of existing Mercury sewing machines to identify your model number if your machine does not have a plate, "Made in Japan" stamp or owner's manual. Refer to the books listed in the Reference section for help identifying your machine. Check for sale listings that have photographs with them as you may find your machine identified with a model number. "Made in Japan" deluxe plates are usually oval-shaped. Mercury sewing machines made prior to the 1950s are heavy. Be careful not to injure yourself when looking for the model number.